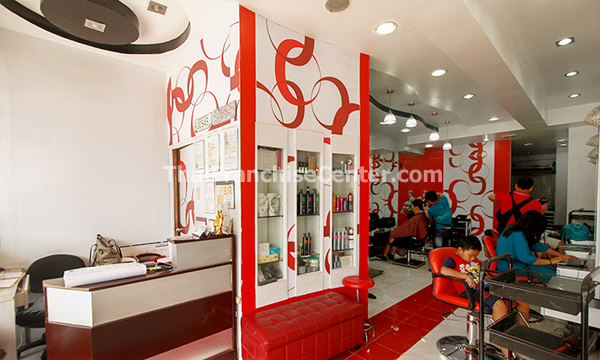 We are the Mary Pauline Salon Group – the fastest growing chain of hair and beauty salons in the Philippines! We aim to provide the highest quality of service at affordable prices. Mary Pauline Salons are quickly gaining a reputation for providing quality hair care services – including cuts, perms and color as well as other beauty services to an eclectic mix of clientele. They include movie and television personalities, business executives and professionals – and even your ordinary family member. Quite simply, our goal at all Mary Pauline Salons is to provide our clients with utmost quality, warm service and impeccable style. With 5 salons throughout Metro Manila and more branches to open soon, Mary Pauline Salon provides a wide range of services, to include: haircutting and styling, hair coloring, texturizing and a variety of hair and beauty treatments. We have our celebrity stylists to attend to your most discriminating needs and tastes, as well as other stylists who continually hone their skills under the guidance and tutelage of our senior staff to keep up with all the latest styles and trends. 8 Seater salon for 80sq mtrs.